The first JOIFF International Fire & Explosion Hazard Management Conference took place on 3rd & 4th November 2016 at the Corinthia Hotel, St Georges Bay, Malta in association with JOIFF member organisation International Safety Training College (ISTC) Malta. The Annual General Meeting (AGM) of JOIFF took place on the evening of 2nd November attended by 50 representatives of JOIFF member organisation. 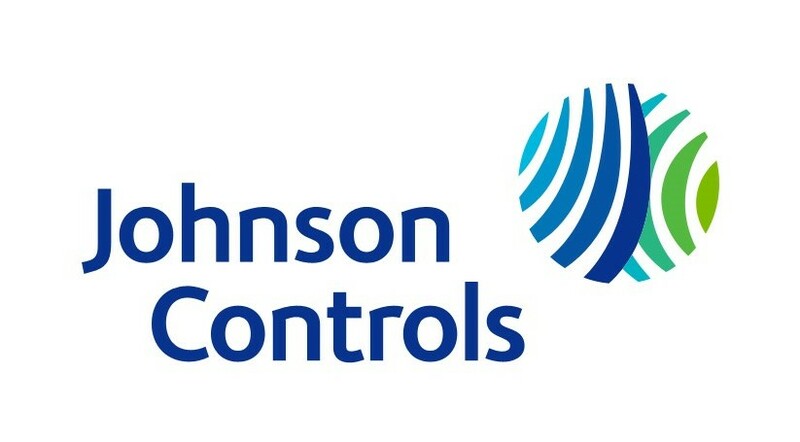 The Conference was officially opened after the JOIFF AGM at an evening reception hosted by Alberta Group, Malta, which is a Global Provider of Total Fire, Safety and Security and of which Organisation ISTC Malta is a subsidiary. The Malta Minister for Home Affairs and National Security welcomed the more than 120 delegates who attended and the Minister’s address was responded to by JOIFF Chairman Randal Fletcher. The Conference opening Key Note address was given by Vanessa Allen Sutherland Chairperson of the U.S. Chemical Safety Board. Ms Sutherland discussed the tragic incident that took place on 17th April 2013 in the Fertilizer Plant in the City of West, Texas, USA. A fire involved the seed and fertilizer building which contained pallets of bags of seed and fertiliser bulk materials including a large amount of ammonium nitrate. Other chemicals stored in the building included potash, ammonium sulphate, diammonium sulphate and tanks of liquid chemicals including liquefied anhydrous ammonia. As the building became more involved in the fire, the roof collapsed and a huge explosion which registered 2.1 on the Richter scale took place. The blast killed 10 firefighters, 2 civilians who had responded to the incident to assist and 3 civilians in the residential area close to the plant. 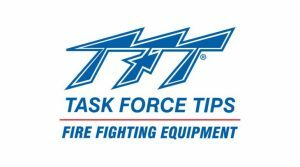 Several responding firefighters suffered debilitating or near fatal injuries and civilian injuries totalled more than 200. The blast created a 90 foot wide, 10 foot deep crater and damaged or destroyed 500 structures in a 37 block area including 3 schools, a nursing home, an apartment complex and a number of family homes. Following the presentation about the incident, Ms Sutherland answered a number of questions from delegates on a wide range of subjects. The first Keynote address of Day 2 was given by Dave Price, UK President and Principal Engineer at Gexcon, a leading company in the field of safety and risk management and advanced dispersion, explosion and fire modelling. Dave is an internationally recognised explosion protection specialist and he discussed recent incidents involving explosions, in particular the incident that took place on 12th August 2015 when a series of explosions killed more than 170 people and injured hundreds of others at a container storage station at the Port of Tianjin, China. The incident was initiated by two explosions which occurred within 30 seconds of each other at the facility. 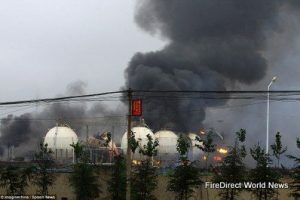 The second explosion was far larger than the first and involved the detonation of about 800 tonnes of ammonium nitrate. Fires caused by the initial explosions continued to burn uncontrolled throughout the weekend, repeatedly causing secondary explosions, eight of which occurred on 15th August. Dave compared the impact of other serious incidents where explosions took place which, whilst serious and caused major damage and injuries and eaths, were small compared to the enormity of the Tianjin incident. The third and final Keynote address was presented on Day 2 by J. Gordon Routley, Division Chief of Montreal Fire Department, Canada who discussed the rail disaster in the town of Lac Mégantic in the province of Quebec Canada on 6th July 2013. This incident involved an unattended 74-car freight train carrying 7.7 million litres of petroleum crude from North Dakota USA bound for Saint John, New Brunswick, Canada. Having travelled from North Dakota during the day, the train arrived in Nantes, Quebec, late on the night of 5th July 2013. The locomotive engineer parked the train on a descending grade on the main track, applied hand brakes on all five locomotives and two other cars and shut down all but the lead locomotive. Railway rules require that hand brakes alone must be capable of holding a train and this must be verified by a test. That night however, the locomotive air brakes were left on during the test, meaning the train was being held by a combination of hand brakes and air brakes which gave the false impression that the hand brakes alone would hold the train. The lead locomotive had experienced mechanical difficulties throughout the trip from North Dakota and when it was parked, it had excessive black and white smoke coming from its smoke stack. The engineer agreed with his supervisor that the train should be left as it was to be dealt with the following morning. Shortly after the engineer left for his boarding place for the night, the local Fire Department responded to an emergency call reporting a fire on the train. After shutting off the locomotive’s fuel supply, the firefighters moved the electrical breakers inside the cab to the off position, in keeping with railway instructions. At that point, with all the locomotives shut down, the air compressor no longer supplied air to the air brake system. As air leaked from the brake system, the main air reservoirs were slowly depleted, gradually reducing the effectiveness of the locomotive air brakes. Just before 1 a.m., the air pressure had dropped to a point at which the combination of locomotive air brakes and hand brakes could no longer hold the train, and it began to roll downhill toward Lac Mégantic, a small town just over seven miles away. As it moved down the grade, the train picked up speed, reaching a top speed of 65 mph. The rail line in Lac Mégantic is on a curve with a speed limit for trains of 10 mph and as the train reached the curve in the centre of the town, the train derailed. Almost all of the 63 derailed tank cars were damaged, and many had large breaches. About six million litres of petroleum crude oil was quickly released. The fire began almost immediately and the ensuing blaze and explosions left 47 people dead. Another 2000 people were forced from their homes, and much of the downtown core was destroyed. The pileup of tank cars, combined with the large volume of burning petroleum crude oil, made the firefighters’ job extremely difficult. Fire crews responded from Canada and the USA and even after 20 hours, the centre of the fire was still inaccessible to firefighters. Local firefighters who initially responded had no easy access to their fire station as the burning fuel surrounded it and when they eventually got to the station, they had to break in to get access to the pumps and other equipment. Gordon reported that when the emergency crews arrived on the scene, despite the challenges, the response was well coordinated and the fire departments effectively protected the site and ensured public safety after the derailment. JOIFF Chairman Randal Fletcher Chairman said that the main priority of JOIFF must continue to be to work to prevent such tragic incidents and associated losses of life, property and impact on the environment through its 3 pillars, Shared Learning, Technical Advisory Group and Accredited Training. The 3 pillars are to ensure development and continual improvement in preparation for and in response to industrial hazardous incidents. Fire and Explosion Hazard Management Planning (FEHMP) is the foundation of all these emergency response and training efforts and JOIFF organised this first International Fire & Explosion Hazard Management Conference to provide a global platform for discussion and dissemination of the latest FEHMP thinking. Other papers presented during the Conference included discussion on various aspects of Fire and Explosion Management Planning, – Holistic Overview of FEHMP, Consequence Modelling, E-TankFire project update, Insurance, Passive Protection, Ageing Installations, Foam, Operational Readiness and Mutual Aid. During the afternoon of Day 1, delegates visited the training grounds of International Safety Training College and were treated to a demonstration of extinguishing various aviation and industrial fires by the trainers of ISTC working with fire crews from Malta Municipal Brigade and Malta Airport’s Aviation Responders. Delegates were also shown the facilities and procedures in ISTC used for training in evacuation from helicopters landing in water and the new suite of equipment, for training in Incident Command. 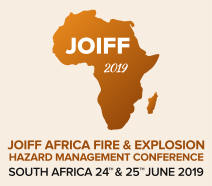 The JOIFF/ISTC International FEHM Conference would not have been possible without the support of the conference sponsors Alberta, Fomtec, Solberg, Tyco , MSA, Scott Safety, Auxquimia, Dr. Sthamer and ISTC Malta.